In a rare reversal of differentials, the Medium Range Worldscale rates on the key Persian Gulf-Japan and West Coast India-Japan routes have slipped into a discount to the LR1s due to abysmal demand. A string of refinery turnarounds, weakening intra-Asia product trade flows, inclination for loadings on cheaper bigger ships had created a situation where the tonnage was piling up and rates for MR tankers had nosedived. 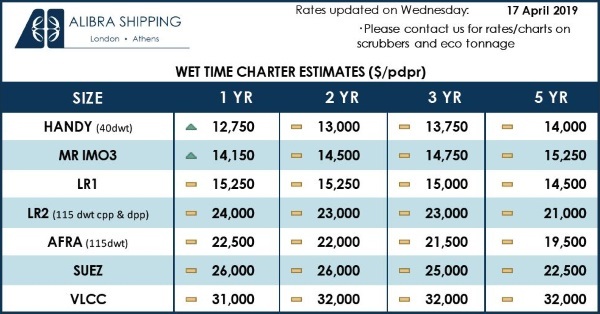 While there was uncertainty over how long this trend would last, market participants were now expecting fresh leads on demand and supply of ships from the Enmore Oil Tanker Shipping Conference to be held in Beijing next week, a key event in the global maritime calendar. The key Persian Gulf MR rates on the Persian Gulf-Japan and West Coast India-Japan routes were assessed at w112.5 Wednesday, versus w117.5 for the benchmark PG-Japan LR1 route, according to S&P Global Platts data. “It is rare for MRs to trade at a [Worldscale points] discount to the LRs,” a broker in Singapore said. The supply of LR1s was tight till early-July and owners were seeking a premium to cover the higher costs of bunkers, he said. The 380 CST bunkers were assessed at $444/mt on a delivered basis Wednesday, up 10.5% from $401.85/mt two months ago, Platts data showed. Market participants pointed out that with LRs finding it difficult to get suitable cargoes for long voyages, they were doing shorter voyages within the Persian Gulf and the Red Sea region, eating into the demand for MRs.
LRs were doing shorthauls in both the Middle East and the East Asia. MRs had typically been the vessel of choice for naphtha loadings in West Coast India, but with LR2s being cheaper on a sustained basis, they were preferred by some of the charterers. 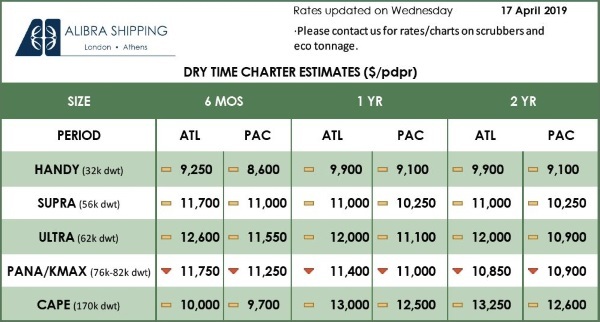 Now the cost of moving 75,000 mt, or LR2 and 55,000 mt, or LR1 cargoes on the Persian Gulf-Japan route is $18.08/mt and $21.24/mt, respectively. The cost is $20.34/mt for MR tankers plying the same route, Platts data showed. “The MRs are at a discount to LR1s because the LR2 rates are even lower,” a clean oil tankers’ broker in Tokyo said. It is a zero sum game where each segment was dragging the other down. Demand for MRs in East Asia hinges to a large extent on oil products exports from Japan, China and Singapore. Market participants said the trend has slowed down in recent weeks because some refineries were undergoing maintenance. China’s crude oil imports in May were estimated at 9.23 million b/d or 39.05 million mt, down 4.2% from the record high in April, according to provisional government data. This may translate into a slowdown in exports in the next few months, shipping industry sources said. There was already a reduction in vessel employment in North Asia, which was reflected in the rates. The South Korea-Japan MR lumpsum rate was assessed at $250,000 Wednesday compared with $360,000 two months ago, a decline of more than 30%, Platts data showed. Another popular voyage for MRs is Persian Gulf to East and South Africa, but even on this leg, the LRs were taking additional share, market sources said. The rates for MRs continued to be under pressure as the supply in the Persian Gulf, North Asia and Singapore was significantly higher. Close to 50 ships were expected to be available for loading around Singapore in the next 10 days, a Singapore-based chartering executive with a global oil trading and refining company said. The reversal in MR-LR1 differentials has happened because there were hardly any cargoes, while ships were too many in number in the Persian Gulf, and the situation was no different in Singapore, one of the brokers said. “Lesser cargoes imply that there is no congestion or delay at ports and ships don’t have to be replaced at higher rates and short notice because of an uncertain itinerary,” the Tokyo-based broker said. Not all market participants were convinced that the current MR Worldscale points discount to LR1s would be sustained. Ships that open in Singapore were unlikely to ballast to West Coast India and do Japan bound fixtures at current rates, the broker in Singapore said. He was referring to ships ballasting from the Persian Gulf and offering cheaper rates for naphtha cargoes in India and Pakistan. “Charterers will have to wait until closer to the loading date to pick up a prompt idle cheap ship but there is a risk involved,” he noted. Additional supply of new built ships — both clean as well as crude tankers — every few weeks had also eaten up into the routine demand. Some of the long haul oil product cargoes such as for the US West Coast from North Asia were being loaded in new built ships, which were available at a discount until they obtained full regulatory approvals.